Shutterstock luanateutzi Even clothing industry executives say it’s time to end the wasteful clothing culture and begin making new apparel out of old items on a large scale. Don’t miss The Circular Economy Gets Down to Business with Ellen MacArthur of the Ellen MacArthur Foundation, Cyrus Wadia of Nike and Kate Brandt of Google on Sept. 20 at VERGE 16. With Nike, H&M is a global partner of the Ellen MacArthur Foundation, whose mission is to drive a transition to a circular economy — an industrial system in which everything at the end of its life is made into something new, in contrast to today’s economy, where most consumer goods are produced, used and then thrown away. It’s not just H&M. American Eagle Outfitters, Eileen Fisher, Levi-Strauss & Co., Nike, the North Face, Patagonia and Zara all collect old garments (or shoes, in the case of Nike) in their stores, in some cases taking clothes from any manufacturer. Startups Ambercycle, Dutch Awareness and Evrnu are developing chemical processes to take cotton, polyester or blended apparel and transform them into new fibers. “Our ultimate goal is to harvest our raw materials from our consumers’ closets,” said Michael Kobori, vice president of sustainability at Levi Strauss. That H&M is leading the charge for the circular economy is no small irony. The company’s low-cost clothes — it sells women’s T-shirts for $5.99 and boys’ jeans for $9.99 — are one reason why the apparel industry is growing so fast and drawing fire from environmental activists. It’s been estimated that the global apparel industry generates as much as $2.5 trillion in annual revenue and that it will double in the next decade. What’s more, despite efforts to collect old clothes by retailers and nonprofits such as Goodwill Industries, the overwhelming majority of items eventually wind up in landfills, at least in the U.S. Americans dispose of about 12.8 million tons of textiles annually, which amounts to about 80 pounds for each man, woman and child, the U.S. Environmental Protection Agency estimated. Eileen Fisher, the founder of the apparel company that bears her name, has called the clothing industry “the second largest polluter in the world, second only to oil,” a claim that can’t be verified because reliable data on fashion’s global footprint is scarce. But there’s no doubt that vast amounts of water, energy and chemicals are required to manufacture clothes — up to 200 tons of water, for example, to make a ton of fabric, according to the Natural Resources Defense Council. In places where environmental regulation is lax, chemicals are routinely discharged into rivers and streams without treatment. The textile industry long has been one of China’s biggest polluters, and it has fouled rivers and ruined farmland in India, Cambodia and Bangladesh, as well. Growing cotton, the most-used fabric in fashion, requires water and agricultural chemicals. (Organic cotton is an exception.) While cotton is grown on just 2.4 percent of the world’s cropland, it accounts for 24 percent and 11 percent of global sales of insecticides and pesticides, respectively, according to the World Wildlife Fund. The Sustainable Apparel Coalition — an alliance of retailers, brands and nonprofits — has been working for about five years to measure and reform the industry’s environmental footprint. In the long run, the industry will need to take more radical action, particularly if it wants to sustain current growth rates, sustainability executives say. This will be a daunting task. Consumer behavior is one obstacle. Most people don’t bring their old clothes back to stores, despite incentives. In the U.S., H&M, Levi-Strauss and the North Face have offered a variety of discounts, sometimes for as much as 20 percent on future purchases, but they are collecting far fewer clothes than they sell, executives admit. (H&M won’t say how many tons of clothes it sells, but the 12,000 tons it took back in 2015 is clearly a fraction of what the chain sold.) San Francisco is one of very few cities to offer curbside recycling of textiles. To see why the job ahead is so hard, it’s essential to distinguish between recycling and closing the loop. Conventional recycling of clothes doesn’t create feedstock for new clothes. Instead, garments that can be worn again are sold in thrift stores or bundled for overseas bulk sales at just a few pennies a pound. (Even at those rock-bottom prices, the U.S. exported $705 million of worn clothing last year, sometimes to the detriment of local economies.) Clothes that can’t be worn again are resold as rags; downcycled for use in products such as insulation, carpet padding and stuffing for toys; incinerated for energy, or sent to landfills. 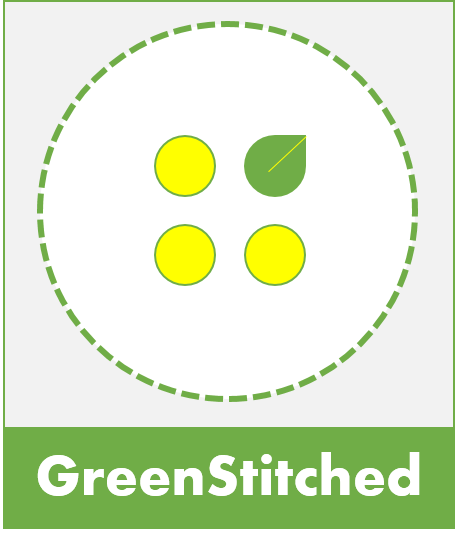 Our goal is to use no virgin product in the creation of our fiber, and create no waste. By contrast, a closed loop or circular economy is “restorative and regenerative by design,” stated the Ellen MacArthur Foundation. For the apparel industry, this means designing a system that will keep textile resources in use for a long as possible, and then recovering the materials at the end of life to make new high-value products. No company today is doing this on a commercial scale, but several are trying. London-based Worn Again began “upcycling” a decade ago by turning textile waste — including discarded McDonald’s uniforms, Virgin Atlantic airplane seats and prison blankets — into clothes, shoes and bags. But founder Cyndi Rhoades soon realized that making consistent products out of a variety of materials was “a very difficult business.” She turned her attention to recycling cotton and polyester, which poses a different set of obstacles. Mechanical recycling of cotton lowers its quality as chopped-up fibers get shorter and less soft, while recycled polyester costs more than new. Harder still is recycling clothes made from a blend of fabrics, which must be separated. The holy grail is a process that can separate blended fibers, recapture the raw materials and reintroduce them into the supply chain at a price competitive with their virgin counterparts. After several years of research, Worn Again joined forces (PDF) with H&M and the PUMA division of Kering to develop chemical processes that will capture polyester and cotton from old textiles that have been broken down to the molecular level. Said Rhoades: “The holy grail is a process that can separate blended fibers, recapture the raw materials and reintroduce them into the supply chain at a price competitive with their virgin counterparts.” The technology has been proven in a lab, but Rhoades declined to predict when it will be deployed more widely. A partnership between Levi Strauss and Seattle-based startup Evrnu recently brought forth the world’s first pair of jeans made of post-consumer cotton waste. A preliminary lifecycle assessment of the product generated encouraging results, according to Paul Dillinger, vice president and head of global product innovation at Levi Strauss. “Cotton cultivation versus Evrnu, we’re looking at a 98 percent reduction in water use,” said Dillinger, noting that cotton is cultivated in places such as China, India and Pakistan that are — or soon could be — water-stressed. Stacy Flynn, a former Target executive who is the co-founder of Evrnu, said its patented process purifies cotton garment waste, converts it to a pulp and extrudes it as a clean new fiber that is softer than silk and stronger than cotton. Evrnu expects to announce partnerships with two more retailers soon, one of which wants to make knit shirts out of textile waste. The other will focus on footwear. This entry was posted in Brands, Recycling and tagged Ambercycle, American Eagle Outfitters, Circular Economy, ClosingtheLoop, DutchAwareness, Ellen MacArthur Foundation, Evrnu, GreenBiz, H&M, Kering, Levi Strauss, Levi-Strauss&Co, M.I.A., moonshot ambition, Nike, North Face, Patagonia, Puma, RewearIt, Sustainable Apparel Coalition, WornAgain, Zara.